UnionPay International (UPI), a subsidiary of China UnionPay, said on June 21 that it has signed a cooperation agreement on payment by QR code with Vietnam Payment Solution Joint Stock Company (VNPAY) - the biggest QR code payment firm in Vietnam. Under the agreement, UnionPay International will enable 30,000 Vietnamese merchants to accept UnionPay QR code payment before November 2018. The collaboration will also enable UnionPay cardholders to pay for airline tickets and movie tickets online using UnionPay QR code payment. In February this year, UnionPay also inked an agreement with Sacombank that enabled hundreds of merchants in Vietnam to accept UnionPay QR code payment. To date, nearly all ATMs and more than 90% of merchants in Vietnam accept UnionPay cards. Major airlines including Vietnam Airlines and VietJet Air have already accepted UnionPay cards for online ticket booking. 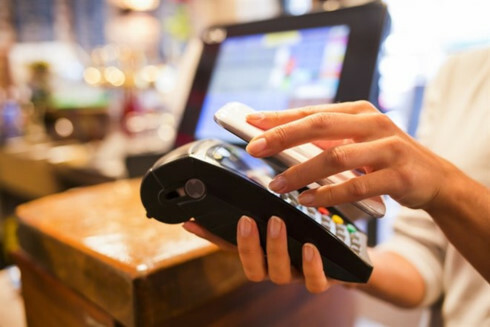 In the past, VNPAY has successfully developed and implemented payment methods using QR Pay code on mobile banking applications. The payment method allows customers using the mobile application of banks to scan QR codes to make quick payments for goods and services. Currently, QR Pay has been integrated in mobile applications of most major banks in Vietnam, including Vietcombank, VietinBank, Agribank, ABBANK, SCB, NCB, IVB, MartimeBank, SHB and VIB, with more than 8 million users. With a link network of 1,700 organisations worldwide, UnionPay International allowed the acceptance of UnionPay cards in 168 countries and territories. According to UnionPay International, Vietnam is looking forward to a cashless society. The rate of cash payment will drop to less than 10% by 2020.